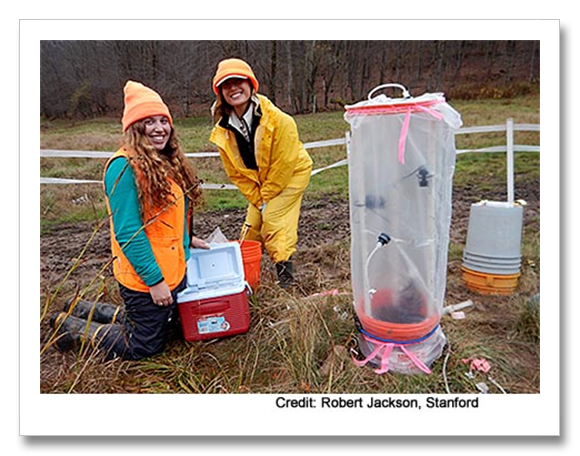 Princeton researchers have been testing abandoned oil wells in Pennsylvania and have revealed some surprising results. What do these findings mean? Stanford estimates that there are three million abandoned wells in the U.S. but this is just a guess. Some of the drilling goes back to the 19th century. Also a guess is how many of the wells are capped. This technology, or the regulatory requirements, only arrived recently in the oil field. The Princeton researchers believe the way these wells are leaking have a significant contribution. Researcher Michael Celia said; “What surprised me was that every well we measured had some methane coming out,” said Celia. About fifteen percent of the wells monitored emitted at a substantially higher rate than the rest, literally thousands of times greater than the rest. The quantity of methane being emitted, and the authors caution that these are just the first steps, but if accurate, would equal 4 to 7 percent of all human caused methane emissions in Pennsylvania. This is the same quantity as comes from the leaks and fugitive emissions rom the oil and gas industry. The tremendous elephant in the room has spoken. What is the role of fracking in these old abandoned wells in oil fields that are being reworked to enhance production? Where does all of that fracking pressure go? Some of it comes back out again with the production process but some of it is lost in the formation. This extra pressure in the formation bleeds out at various places like fractures in the formation that lead to other formations and indirectly or directly to the surface or, through holes poked in the ground that lead directly to the formation, as-in abandoned, uncapped oil and gas wells.